Disclosure: Prep Sportswear provided me with a t-shirt for review purposes. As always, this review contains my honest opinion. Finding the perfect gift for my husband can be challenging. But there are a few things I know for certain about my husband. He loves tradition and also vintage. So, a vintage Greek t-shirt definitely would fit the bill for a perfect gift idea. Prep Sportswear offers vintage sports and fraternity t-shirts. With vintage being all the rage right now, these shirts are perfect for anyone! 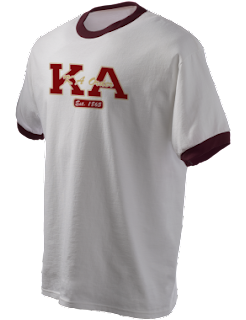 The shirts are a premium quality 100% pre-shrunk cotton and they have a huge selection of spirit wear featuring high school, college, Greek, alumni, military, destination and more. 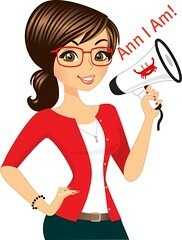 In addition to t-shirts, they offer hoodies, iPad & iPhone skins, gym bags, blankets, and towels. My husband really enjoys the shirt I got for review. It has a nice cut and he loves the vintage aspect of it. He loves the ringer style, which is sometimes hard to find. I think the sizing runs a little big in the mens ringer shirt, so if in doubt, order down a size. Looking around the site, I found so many cute t-shirts. I found some for my high school and for various state parks I have hiked at. I would recommend visiting the site and doing a search for what interests you. Just since I have ordered my husband's t-shirts, they seem to have added more and more so if you don't see what you are looking for today, check back later--they might have it! Right now, if you enter the code ANNIVERSARY you can save 25% off your order. Nice! thanks for the 25% off code! I am loving t-shirts that can be ordered to specification nowadays. I don’t know how I got on this kick, but this one here has a couple of things I must have: pre-shrunk and 100% cotton. I don’t know what makes a t vintage, but I like the nostalgia angle. It cold keep my kids out of it! Always fun to get a discount on something for your husband! So many times I find coupons and discounts for things for the kids instead.